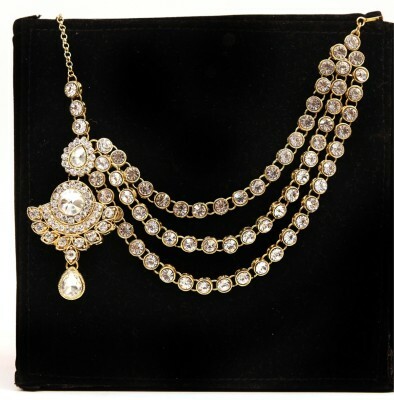 If you love accessories then you know the sweet delight of discovering something that you never knew existed. 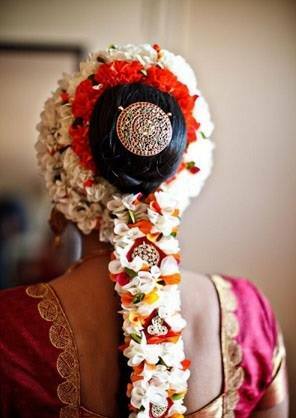 And when it comes to Indian weddings, there are so many hair accessories that a bride-to-be is yet to discover. Some of these quintessential ones can help you achieve the perfect look that you had envisioned. This post will take you through some of the most popular accessories that you should know about, even if you don’t get about trying them out. There are many hair accessories that you can use that will make you look gorgeous. Here are some of them that you can consider using. And long hair is not a necessity as some of these can be used for short hair as well. If you plan to tie your hair in a neat bun, the best and stylish way to bring it all together is to use a juda pin. 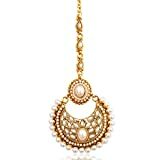 You can match it with your jewellery and your outfit as well. It is a simple and elegant hair accessory. When it comes to the Mathapatti there are so many options. There are minimalist as well as intricate designs that you can choose from. This hair accessory sits on the top of the head and spreads out. It has multiple chains that add to its complexity and beauty. If you plan to use this accessory you can either leave your hair open or tie it up neatly. 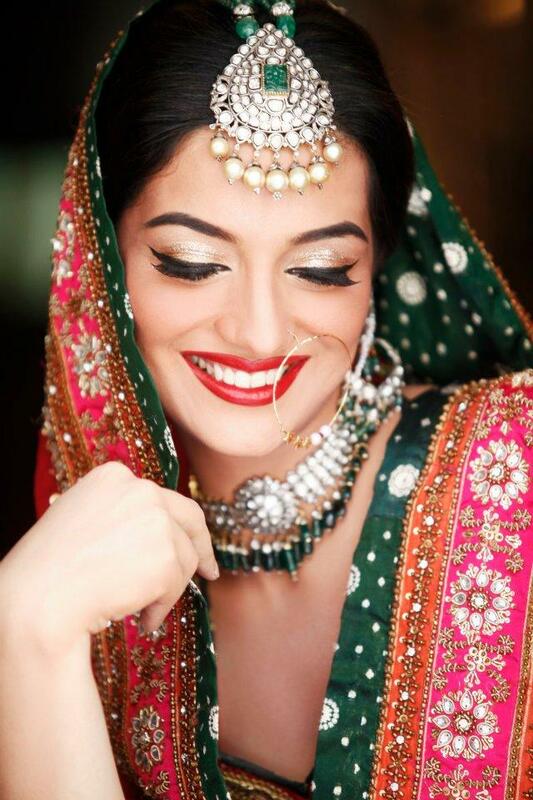 Traditionally, the jhoomar is used by Muslim brides. 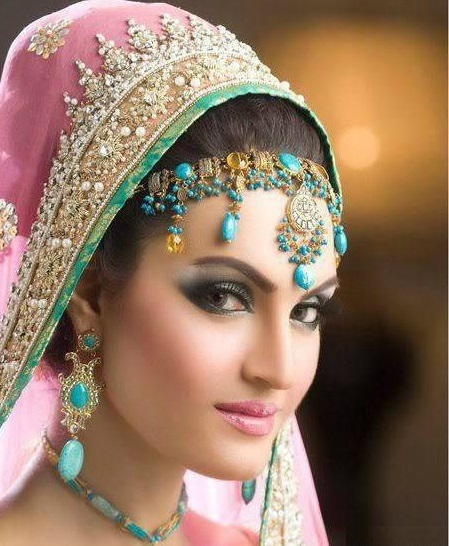 However, many brides are picking up this accessory since it is really beautiful. It is an excellent replacement for a Mathapatti. Also, you wouldn’t need a mang tikka if you go for this accessory. 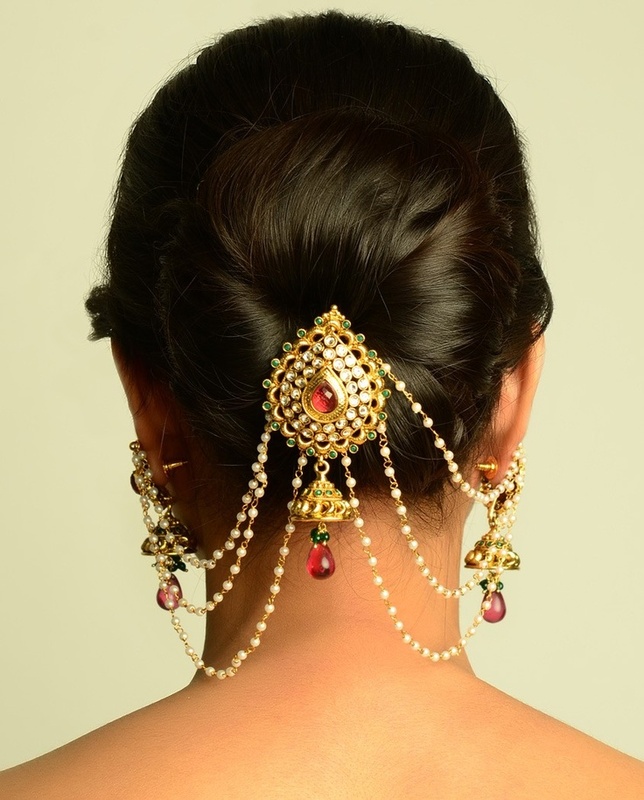 The maang tikka is one of the most popular Indian bridal hair accessories. 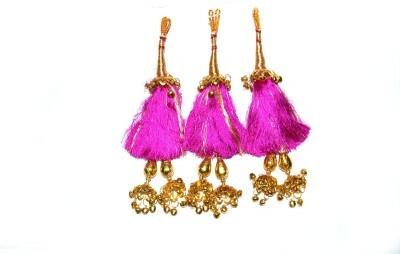 It falls on the parting of the hair where the sindoor is applied. 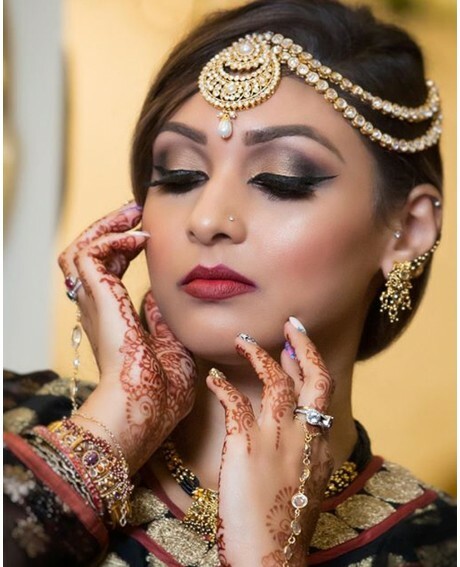 A big maang tikka will suit any facial shape as it is stunning to look at. Additionally, there are many options available as you can get maang tikkas in different shapes, sizes, and designs as well. 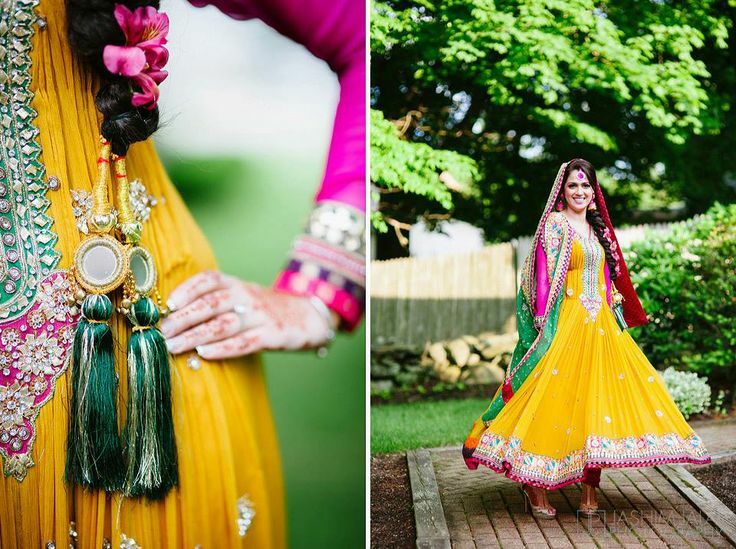 The Punjabi Paranda is a traditional hair accessory, which women use to tie their braids with. 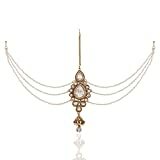 At the end of the braid, there are pretty embellishments that add to the beauty of this accessory. 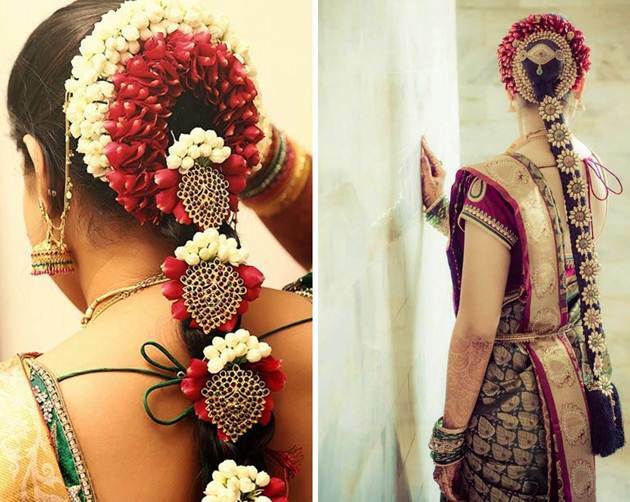 Flowers or the gajra is one of the most important hair accessories for South Indian brides. The fragrant aroma and the majestic feel looks good as well. 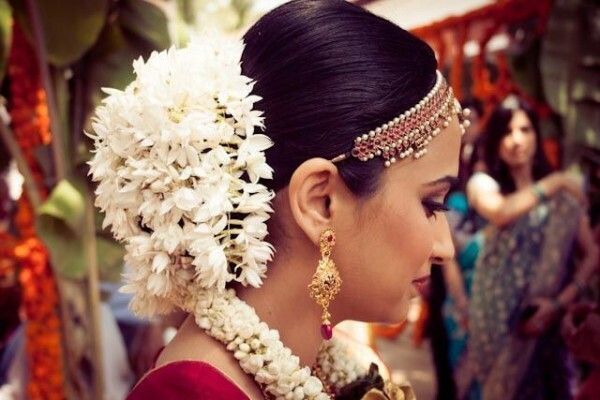 Another hair accessory that is a must for most South Indian brides is the Jada Billau. 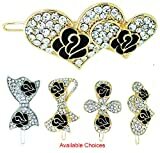 It is a series of nine round hair clips of descending size worn along the length of the braid. 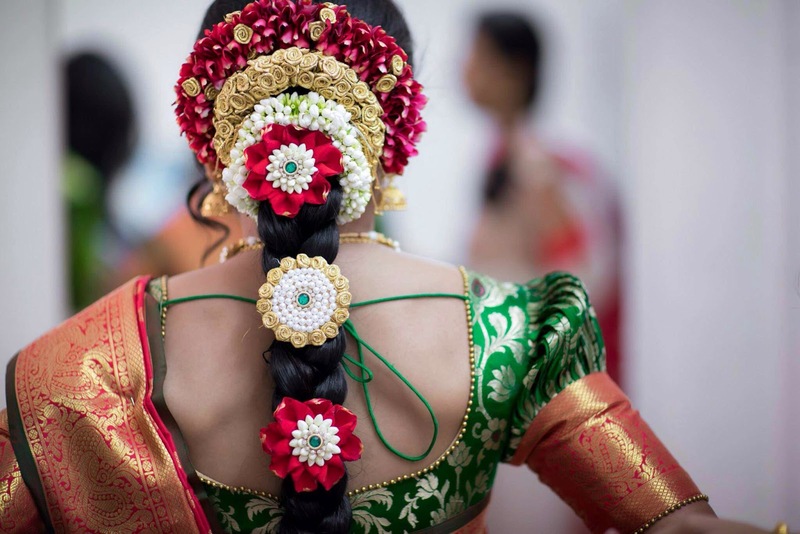 Usually, it is worn by Tamil brides and temple jewellery is hired for this occasion. 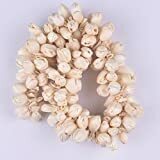 When it comes for brides with short hair or who want to let their hair down at a Christian style wedding, the hairband is the perfect hair accessory. It looks good, stylish, and keeps the hair in place. Bobby pins are an excellent way to keep your hair in place. There are many styles that you can try out, so you will be spoiled for choice. The last accessory is the tiara. 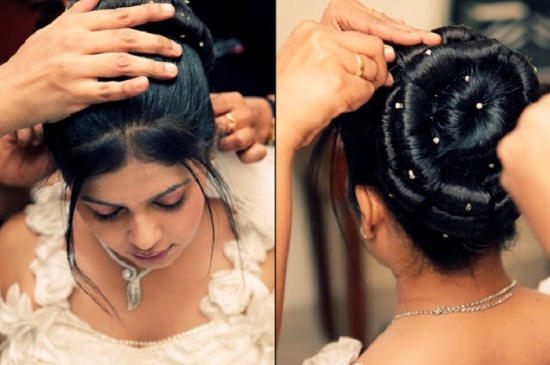 A bride looks nothing less than a princess on her wedding day and this hair accessory is appropriate for the occasion. 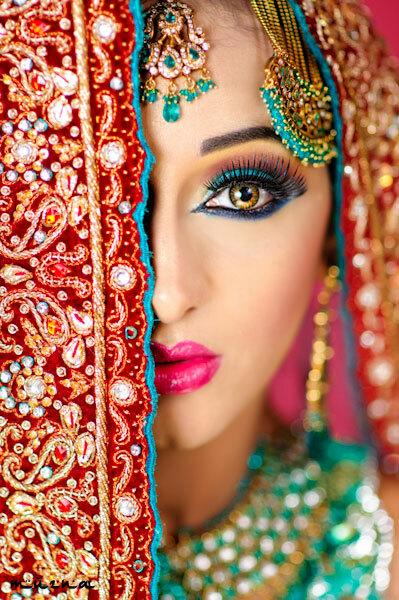 At the same time, it will help keep the veil, in case the bride is wearing a gown. In the film Jodha Akbar, Aishwarya looked like a perfect bride. Alia’s look in the film Two States as a South Indian bride with a maang tikka and a gajra is the perfect example of how brides can use hair accessories. 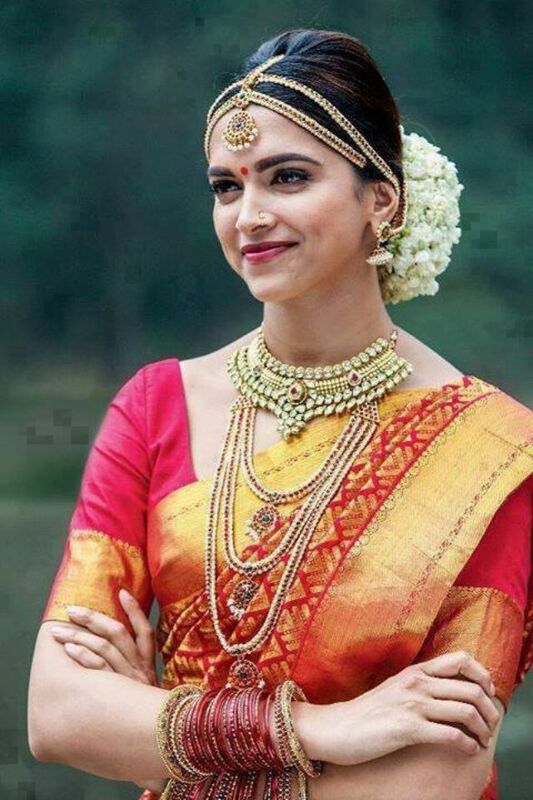 Deepika’s look in Chennai Express acquainted the audiences with the South Indian bridal look, which is beautiful. Sonakshi is sporting a small maang tikka, which is minimalist and elegant at the same time. 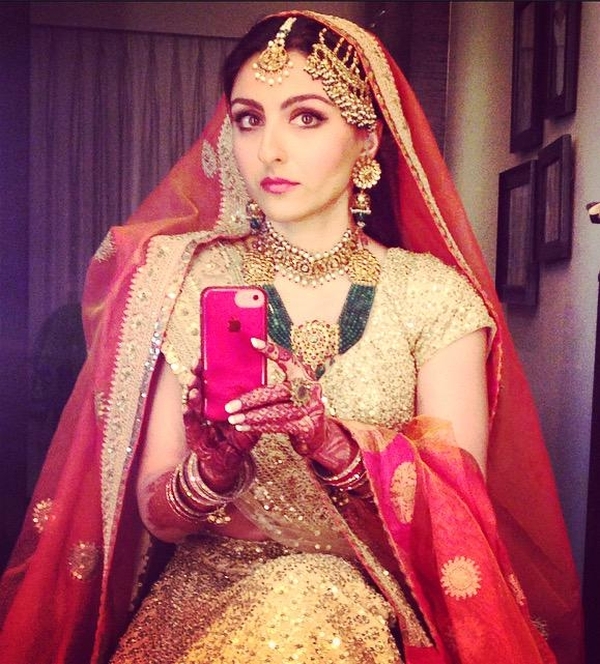 For Soha’s wedding, she wore a pearl jhoomar which complemented her lehenga. And she also wore a maang tikka matching the jhoomar. The golden maang tikka that Kareena is wearing looks elegant and matches with her jewellery. Katrina’s silver mang tikka with a green gem looks simple yet sophisticated. The bigger, the better rule doesn’t apply to jewelry. Sonam’s pearl and gem mang tikka is the first thing that you notice about her. And it is definitely the show stopper of her outfit! Shilpa Shetty is wearing a gold Mathapatti. This is a picture taken right before her wedding. And last but not the least is Vidya Balan. 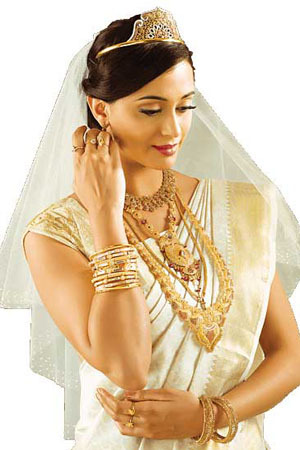 She is wearing a golden mang tikka, elegant and sophisticated.